Mercedes-Benz continues to be at the forefront of luxury and technology, a true player in the automotive world in a way that few other brands can rival. We have a large selection of used Mercedes vehicles that represent all that is good about the brand. Want a stellar exterior design that mimics art? Check! Want a vehicle that is going to be the envy of all who see it? Check! How about unparalleled interior style and comfort? Mercedes has you covered, and so do we. We’re always updating our used Mercedes inventory, so please check back often to see what’s new! Buying used has clear advantages over buying new. People who have less budget to spend on a new vehicle will often find that buying slightly used or even certified pre-owned will still net them the Mercedes of their dreams. Certain model years feature the best the brand has to offer, so going back a few years and buying a Mercedes will save you some serious cash while still netting you a vehicle that is truly amazing. Extended warranty options have made buying used less scary than it once was, as you can still get great service on a used car in the event that something needs to be maintained or repaired. Buying used will get you a lower monthly payment and down payment, freeing up money for customization and add-ons that will make your used vehicle more modern. In recent years, connectivity tech and entertainment options like Apple CarPlay and Android Auto have recently become the standard in Mercedes models. You can use the extra cash you save by buying used to completely modernize and customize your used Mercedes so that it meets your high expectations. Stocking our lot with only quality used cars is one of our top priorities (along with elite customer service and financing wizardry). We have an inspection policy on all vehicles that make it onto our lot. They’re fully inspected in a multi-point process that ensures that our customers always get only quality used cars. Certified pre-owned vehicles will come with more guarantees and warranties, but you can bet that if we’re selling a vehicle on our lot, it has been inspected by a certified mechanic and deemed to meet our high expectations. 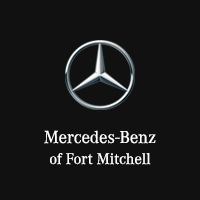 Each one of the vehicles we sell represents the Mercedes brand, so we make sure to only put out quality. We invite you to write to us and ask us anything you need to know before you buy. We offer free quotes, expert financing advice, and deals, and of course only high quality used vehicles. If you’re ready to shop, just browse through our vast inventory of used vehicles. Shop used or certified pre-owned, find a vehicle you love, and then request a quote from us. It’s free! And if you already have your heart set on a specific Mercedes model, just write to us or give us a call to set up a full test drive. Our expert sales team is always ready to hit the road with you and show you exactly why a specific vehicle is right for you. Just call, write, or stop by today!